Glucose and dextrose (D-glucose) are sugars. Glucose syrups and dextrose are used in construction. - Dextrose is used for the manufacturing of plaster board for construction, its addition guarantees proper water retention and migration throughout the board. - Adding glucose to clay prevents tiles from cracking during the cooking process. - Mixed with cement, glucose syrups or dextrose are used in concrete additives and delay the hardening of concrete. 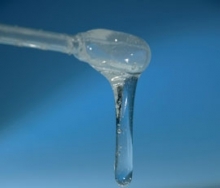 Dextrose (as other starch derivatives) is used as platform molecule (synthon) for the production of new polyesters, polyurethanes or acrylates, but also for the synthesis of solvents and paints with reduced rates of volatile organic compounds, for the production of surfactants like alky(poly)glucosides (APG), or else for the production of plastifying agents such as isosorbide, which allows the reduction of PET use in packaging. Of course, glucose syrups and dextrose are widely used in food and beverages.